Hi friends! I'm here today to give my best shot at breaking down "Paleo" and answering some FAQs I get about it. I know many of you already know the ins and outs, but many of you are new to it coming from the Whole30 and wondering what it's all about. I hope this helps you! **My full disclaimer here before we go any further: I am not an expert in this field! This post is based on my own personal research & experiences. I hope that putting it into my terms will be helpful & make it easier to soak in. Please let me know if you have questions (Instagram is a great place to ask) & read to the bottom for a list of sources I trust & recommend! The Paleo diet is a style of eating based on what our ancestors ate: the things they could hunt & gather. Really, it goes beyond "cavemen" and what they ate way back then. It's basically consuming whole, nutrient dense foods that are good for you, don't inflame or work against your body, and keep you feeling and performing at your best. I eat a balanced diet of protein, fat, and carbs. Sometimes I aim for low-carb, other times I aim for high-fat. It all depends on my current state & current goals. A Paleo diet can be tailored to meet whatever macronutrient goals you have! My main protein sources are beef, poultry, seafood, and eggs. Any & all meats are great on the Paleo diet. Quality sourced proteins that are organic, grass-fed, wild-caught, and free range are best. The better the diet & quality of life the animals had, the better the meat you are consuming! My healthy fats come primarily from coconuts, avocados, olives, nuts, & some seeds. I also eat animal fats such as grass-fed ghee & rendered bacon fat. My carbs come from all varieties of vegetables & fruits. I also consume natural sweeteners that are lower on the glycemic index and as least refined as possible, in moderation. You'll see me using these in my Paleo baked goods & sometimes added to rubs & sauces for added flavor. While I prefer to focus on the foods I DO eat, there's also a list of foods I avoid on the Paleo diet, primarily due to their inflammatory effects on the body. Foods I avoid include grains (including wheat, or gluten), legumes (including soy), and dairy products (see below for the "gray areas" on dairy). It's also important to avoid refined sugars that are void of nutritional value and only have negative impacts on the body. Preservatives & additives include any non-food chemical ingredients used solely for the purpose of making it last longer or stay fresher. 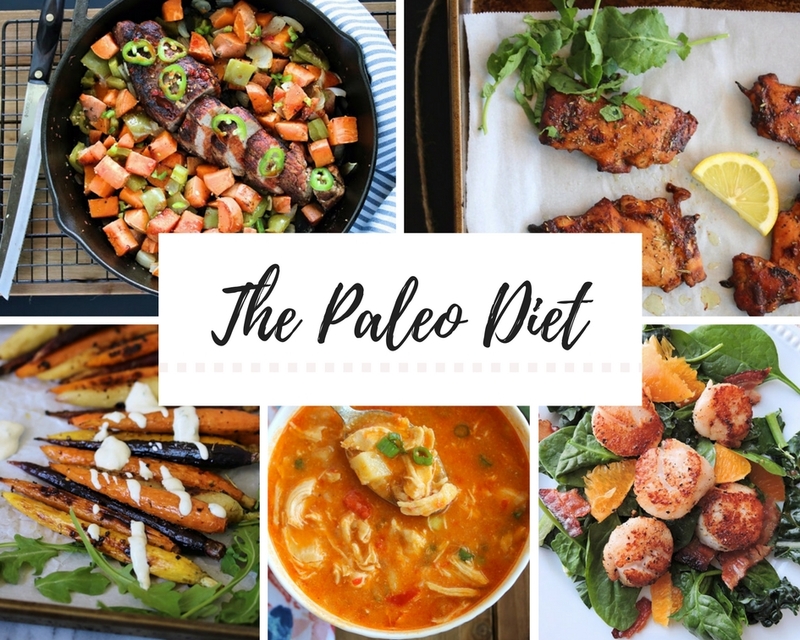 This is a loosely defined area in Paleo, so I generally go off of the Whole30 guidelines for additives and do the best I can to avoid unnecessary ingredients. Processed vegetable oils are also highly refined and void of nutritional value. Basically, if it's an ingredient that's not adding nutritional value of some sort, I try to avoid it. The main confusion I see with Paleo comes down to dairy products (cheese, butter, ghee), white rice, potatoes, and peanuts. I think this comes from seeing various Paleo bloggers & influencers adding these things into their diets and not always seeing or hearing the explanation behind it. From my perspective, these are things that should be completely avoided if you are doing "strict" Paleo. However, many people have found certain foods that they can reintroduce to their diet without negative side effects, and they do so! I highly recommend figuring out which foods work with your body and which don't- so in a moment of "food freedom", let's say out to dinner, you can relax & order something without worrying how it might affect your body! Personally, I try to avoid most of these foods day-to-day, but I include them in my diet intuitively when eating out or when I find something I really enjoy eating that benefits my health in some way. An example for me: peanuts! I have been loving my RBars for a convenient snack with good ingredients, and if a flavor contains peanuts (which I know do not negatively impact me personally), I go for them! Regarding dairy, I find it's best to go for the most nutritionally dense options when you are going to consume it. So I opt for full-fat, raw dairy products from grass-fed sources that will have some nutritional value and aren't highly processed. And again, the healthier the animal (grass-fed, pasture raised), the healthier its milk. Potatoes are controversial, but I consume them in moderation. If I'm trying to lose fat & reduce my carbs or calories, I won't eat them. If I'm looking for a more nutritionally dense option, I opt for sweet potatoes over white potatoes. What are the benefits of Paleo? How is Paleo different from Whole30? If you are doing a Whole30, you are already eating Paleo! The term "Paleo" is a guideline, laid out by various nutritionists and researchers, based on what foods to include & exclude. It doesn't come with a branded name or rulebook. Whole30, on the other hand, has explicit rules and is more strict than Paleo. 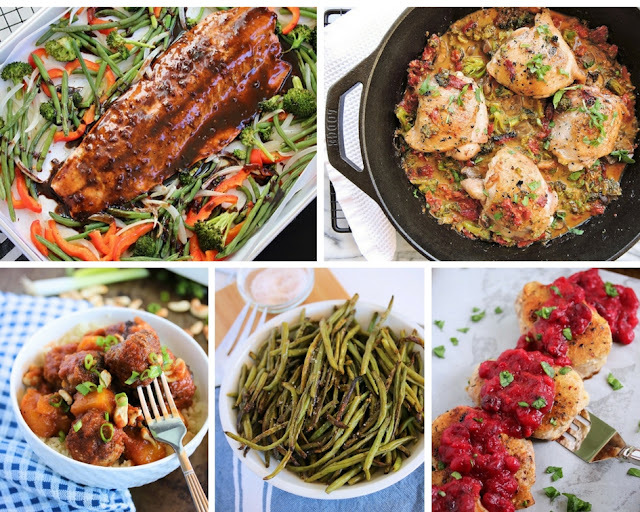 It takes the Paleo diet to another level that rules out specific ingredients to make things easy to follow and leave you with no "unknowns" or "gray areas". A rigid plan to stick to for 30 whole days, to reset and reboot your body & have a "clean slate" to reintroduce potentially problematic foods. With Paleo, you can eat all that you would on a Whole30, but with added flexibility. Because there are gray areas, it's up to you to figure out which additives you want to avoid, which processed oils are "out" for you, and whether or not you'll eat "Paleo-fied" junk foods or baked goods. For me, healthy treats are things that I love sprinkling into my diet in moderation- they keep things fun! As long as the ingredients are clean, I'm happy to eat a good ol' Paleo muffin, brownie, or tortilla! I truly hope this helps! Again, view this as my subjective take on what I've learned & gathered on Paleo over the 5+ years I've been eating this way. Do your own research, try things out, and find what works for you! One of the most challenging aspects of adopting a Paleo lifestyle is the transition from eating a typical American diet. Is there potential for a future blog post regarding helpful and effective ways to transition more successfully? More importantly, this post is awesome. Thanks for all of the information. Thank you so much, very helpful and thank you for the resources and the book suggestions.